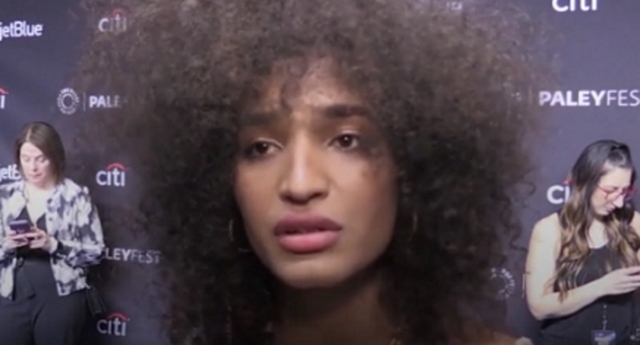 The Pose star and transgender actress Indya Moore has said that no-one should be criminalised for misgendering trans people. The actress, whose full remarks were published in a video in the Belfast Telegraph, said she wanted to abolish prisons, explaining that mass incarceration was a problem “all over the world,” before adding that “people shouldn’t be criminalised for being ignorant, just like trans people shouldn’t be criminalised for existing. She continued: “I think we need to have patience and respect for one another. It makes me sad that… that there is a culture around criminalising people to teach them lessons. She then added: “I think also it’s very laboursome for trans people to go around having to constantly justify our existence. Last week, the CEO of British trans children’s charity Mermaids criticised “incorrect” media reports which claimed police were investigating a woman for “misgendering” her daughter. A front-page Daily Telegraph story on March 20 alleged that Surrey Police was investigating former Catholic Voices spokesperson Caroline Farrow for “using the wrong pronoun to describe a transgender woman” on Twitter. Green withdrew her police complaint in order to be able to speak out about coverage of the issue. Surrey Police then dropped the probe, as local media reported.